We’re talking about Taiwan’s beef noodle soup. 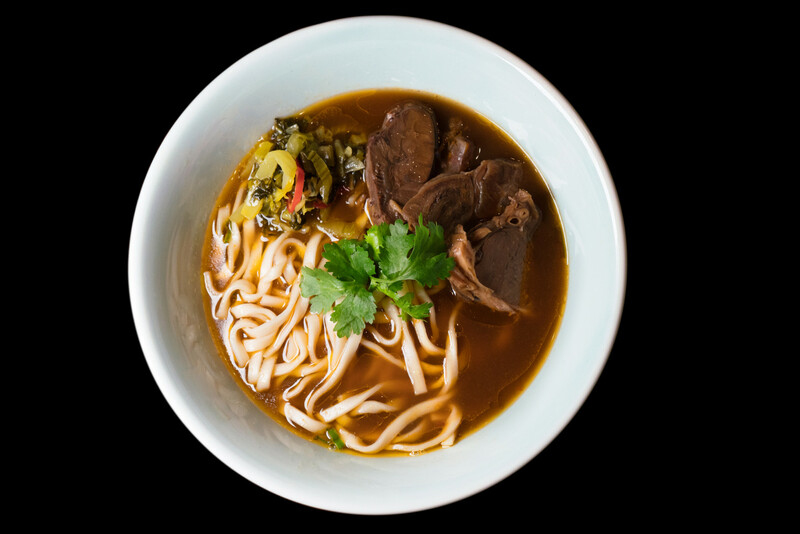 The beef noodle soup is typically a meal onto itself. A hearty bowl of wheat flour noodles in beef broth, with slices of braised beef, often accompanied with suan cai (Chinese sauerkraut), and scallions, and sometimes other leafy vegetables. Richard Ho talks to us about perfecting the beef noodle soup at his shop Ho Foods.